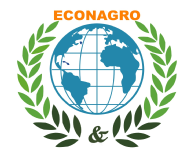 It is a great pleasure for us to invite you to the 3rd International Conference on Food and Agricultural Economics (ECONAGRO) 2019. 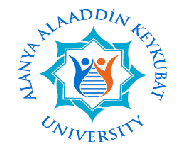 The conference is organized by Alanya Alaaddin Keykubat University and the main purpose is to bring together researchers from all over the world. We believe that our conference will attract top scientists, decision and policy makers, agri-food organizations, agri-food companies, entrepreneurs, investors, and students from all around the region in order to share and discuss advances and developments in food and agricultural economics research and applications. 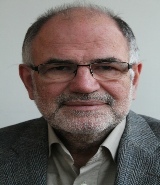 Alan Matthews is Professor Emeritus of European Agricultural Policy at Trinity College, Dublin, Ireland where he was previously Head of the Department of Economics and Director of the Institute for International Integration Studies. He is a former President of the European Association of Agricultural Economists and is currently a member of Ireland’s Climate Change Advisory Council. His research interests are in the areas of agricultural policy and international trade policy, including their implications for development and food security. He is a regular contributor to the blog capreform.eu on issues relating to the EU’s Common Agricultural Policy. Deborah Fahy Bryceson is Professor and Honorary Fellow at the Centre of African Studies, University of Edinburgh and Extraordinary Professor and Senior Research Associate at the Nordic Africa Institute, University of Uppsala. Having trained as an economic geographer and sociologist at the Universities of Dar es Salaam and Oxford, she has pursued inter-disciplinary research on labour and development themes throughout her career focussed on: agrarian change; the historical evolution of livelihood, mobility and settlement patterns; the interaction between social and economic dynamics in rural and urban settings; and gender. She recently completed a commissioned report for United Nations Women entitled ‘Agrarian Labour and Resources in Sub-Saharan Africa: Gender and Generational Change within Family Farms, 1980-2015’. 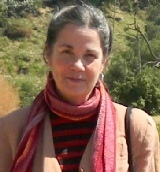 Her published articles and book chapters exceed 125, while her books on agriculture include: Food Insecurity and the Social Division of Labour in Tanzania, 1919-1985 (1990, Macmillan); Liberalizing Tanzania's Food Trade (1993, James Currey Publishers); Women Wielding the Hoe: Lessons from Rural Africa for Feminist Theory and Development Practice (1995, Berg Publishers); Farewell to Farms: De-Agrarianization and Employment in Africa (1997, edited with Vali Jamal, Ashgate); and Disappearing Peasantries? Rural Labour in Africa, Asia and Latin America (2000, edited with C. Kay and J. Mooij, Intermediate Technology Publications).